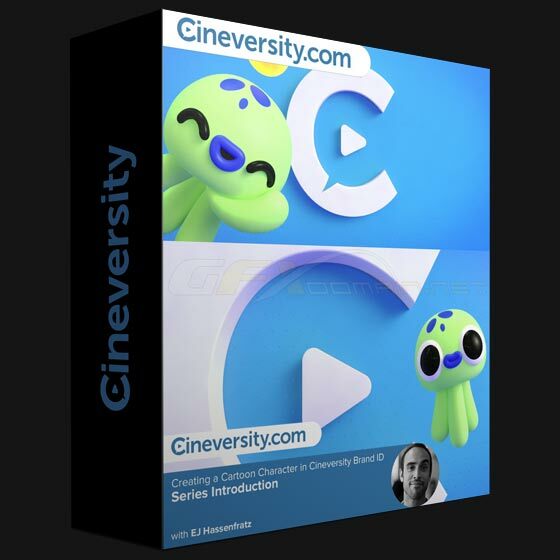 Discussion in 'Cinema 4D Tutor' started by VIPGFX, Apr 15, 2019 at 6:31 AM. In the following videos, you'll follow along and break down the cartoonish ID I created for Cineversity. After watching these videos, you'll learn many useful techniques to be able to easily create and rig your own stylized cartoon character! We'll start by adding cartoonish facial features to our octopus model, texture it, then rig up both the octopus’ tentacles and facial features so it can be easily animated! If you watched EJ's 2017 Siggraph presentation, this is a perfect supplement that touches on different aspects and dives deeper into concepts demonstrated at Siggraph 2017. Alright, let's dive in and get started making some fun cartoon invertebrates!